And you wonder why health care costs are high and rising? Who knows how much of this is do to marketing of drugs? However, it’s pretty clear that our lifestyles have a great deal to do with prescription drug use …. and the cost of health care and insurance premiums. The United States is addicted to drugs. For some people, perhaps many people, it’s easier to run to the doctor and get a prescription than it is to take lifestyle correcting measures, especially considering the bulk of drugs we take are related to issues around the heart and circulatory system. In a study published in the Journal of the American Medical Association, researchers found that the prevalence of prescription drug use among people 20 and older had risen to 59 percent in 2012 from 51 percent just a dozen years earlier. During the same period, the percentage of people taking five or more prescription drugs nearly doubled, to 15 percent from 8 percent. One likely factor driving the increased use: obesity. 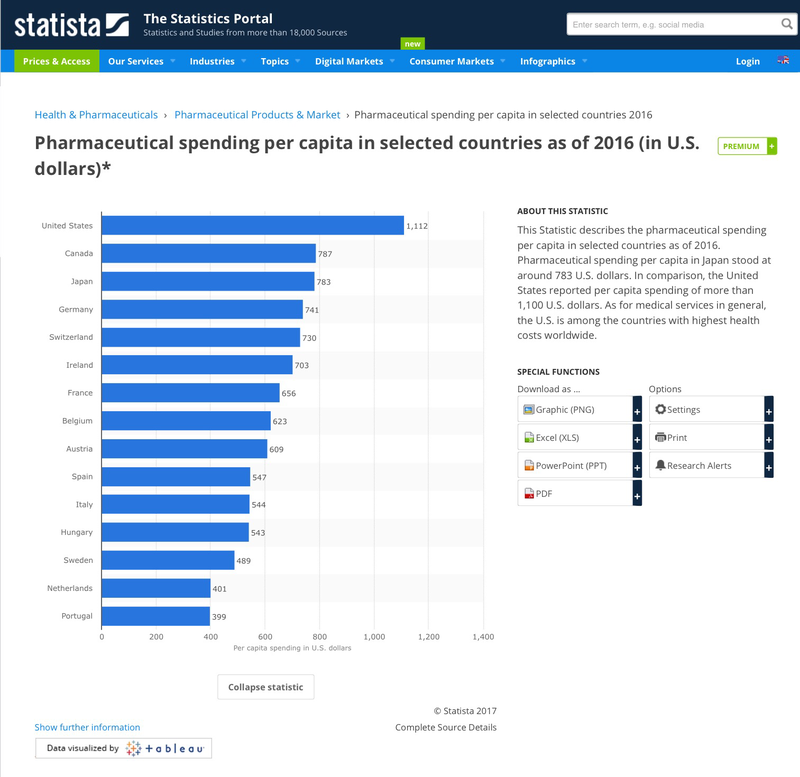 No country in the world uses more prescription drugs per capital than the US. Are we any healthier for it? We certainly are poorer and deeper in debt. We do not have a health care system that tells people the truth. many problems can be fixed with diet and exercise. They just push pills for everything, covering the symptoms, not really providing a cure. If they cure your problem, they stop making money, no office visits to adjust medication levels. Part of the problem is the customer who wants his cake and to eat it too. I have lost 47 lbs in 6 months, by adjusting my diet, cutting carbs to less than 60 grams per day and walking in the mall 2 to 5 miles per day. I am 61 and do not want to be 280 lbs any longer. Down to 233 lbs and heading for 180 lbs. I feel better, I sleep better and I look better.